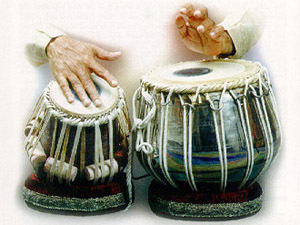 Discussion of the tabla – the most important percussion instrument in North Indian classical music: construction of the instruments; historical and cultural placement; basic aspects of the playing technique; repertoire and the structure of traditional solo performance; accompaniment techniques and improvisation. Will include demonstration performance on the drums. Questions and answers are a desirable aspect of this presentation. 1 hour minimum, preferable is 1.5 to 2 hours.